Audio mixing and production is just as important of a part of film post-production as video editing is. All video editors need an audio mixing program that will allow them to master tracks, adjust levels, add music, and create a final mix that sound great to match the picture. 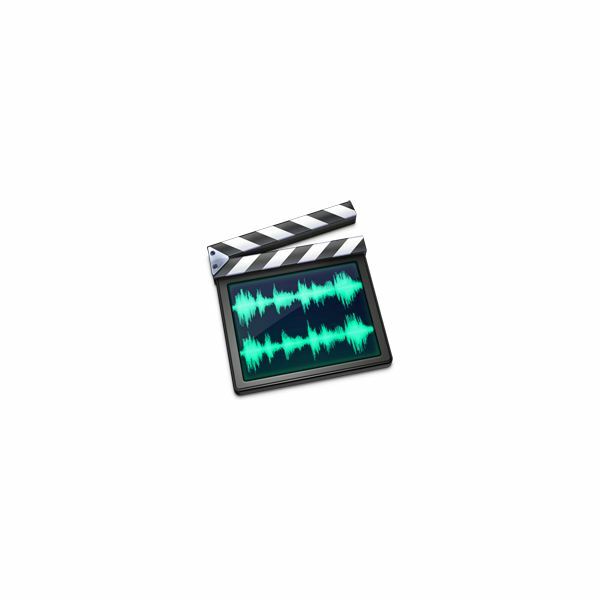 Soundtrack Pro has been this program in the Final Cut Studio and is well known as being both accessible and useful in all situations. Soundtrack Pro 3, the newest version to go along with Final Cut Pro 7, takes the formula it has developed to work with the Final Cut Pro workflow and updates it further. This means that with Soundtrack Pro 3 you will get even more features than before, even if it does not match professional audio software like Pro Tools 8. 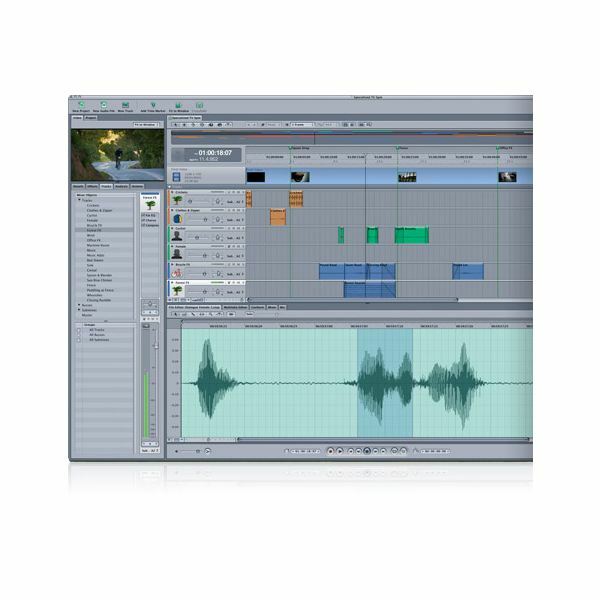 Soundtrack Pro 3 is a full audio editing software with all the features that you would expect, which does put it into the professional realm. Soundtrack Pro 3 has been positioned to be working along with Final Cut Pro 7 on mixing audio along with video tracks, but it can easily be used for music composition and to master independent audio tracks. Where Soundtrack Pro 3 really does stand out is in how it works with dialogue. The tools that have been put into the basic format of Soundtrack has been built around dealing with dialogue edits, especially in the mulitake editor that allows you to integrate different takes from video projects. Lift and Stamp are in this same realm and the Voice Level match is tool that allows you to match the voice levels among the different dialogue segments. This works very well with Soundtrack Pro’s equalization matching, which is perfect for integrating dialogue points from different recording locations. You are also going to end up with over 6000 foley effects that you do not need to pay royalties for and plug-in galore in Soundtrack Pro 3. All of this is easy to sync to a picture using timecode and playhead, which continues to attest to the fact that Soundtrack Pro 3 is really built for the Final Cut Pro 7 workflow. It will go all the way to 5.1 sound control, which is more than you can expect from a program like Soundtrack Pro 3. Pro Tools 8 does allow for up to 7.1 surround sound, but there are few people that will have the equipment to mix to this anyway. Digital audio mixing is really about utilizing algorithms so that you can alter the audio, and Apple has included new ones that allow for time stretching. There are options to download more plug-ins for Soundtrack Pro 3, but they will cost you and you will often have to go to third party developers. Since Soundtrack Pro 3 is often a go to for video production sound mixing you are going to find that noise reduction is where it is most needed. Soundtrack Pro 3 includes more features to reduce noise, especially that will be used to counter issues that occurred when you were in physical production. The broadband noise reduction filter is a standard for those in audio post-production, and Soundtrack Pro 3 has significantly bumped this up. The Power Line Hum in Soundtrack Pro is going to mark some of the control features of the future as it will actually let you go in and change the harmonics you want to remove. All of this is so that Soundtrack Pro 3 has a better control at removing hums, static, and base tones that may have interfered with your audio. Final Cut Pro 7 is markedly better for having efficient media management, and this has been extended over to Soundtrack Pro 3. You can use keyboard shortcuts in Soundtrack Pro 3 to find files that you want, especially if they are matching audio samples. The shortcuts have been extended all over Soundtrack Pro 3 including new keyboard positions for Record, Solo, and Mute. Soundtrack Pro 3 is not usually mentioned among the top audio mixing programs, but in reality it is at a professional level and more accessible to most producers than Pro Tools 8. With the integration of things like Euphonix control surfaces, new types of support such as new audio file types and iXML, and new notifications systems Soundtrack Pro 3 seems as though it is going to be of even more use than previously. Soundtrack Pro 3 may not become integrated in other workflows in the way Color 1.5 and Compressor 3.5 are positioned to, but it will make itself indispensable when working with Final Cut Pro 7.